I know that the idea of making your own pasta is absolutely terrifying – I used to think it must be the most difficult thing in the world. Well, revelation: it’s so easy even I can do it. 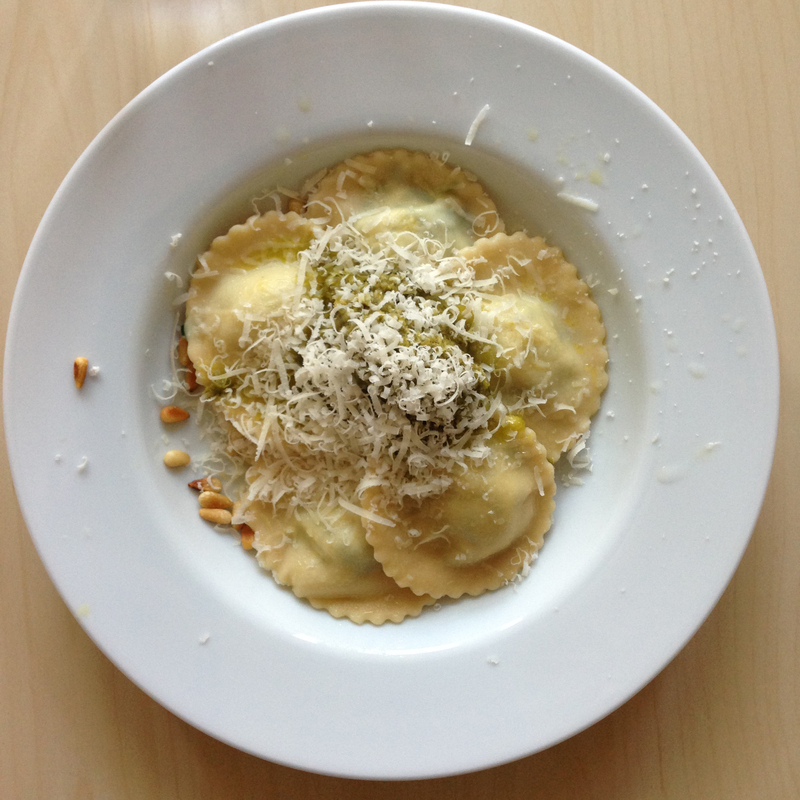 You don’t even need a pasta machine, though it definitely helps. Pasta is utterly basic. 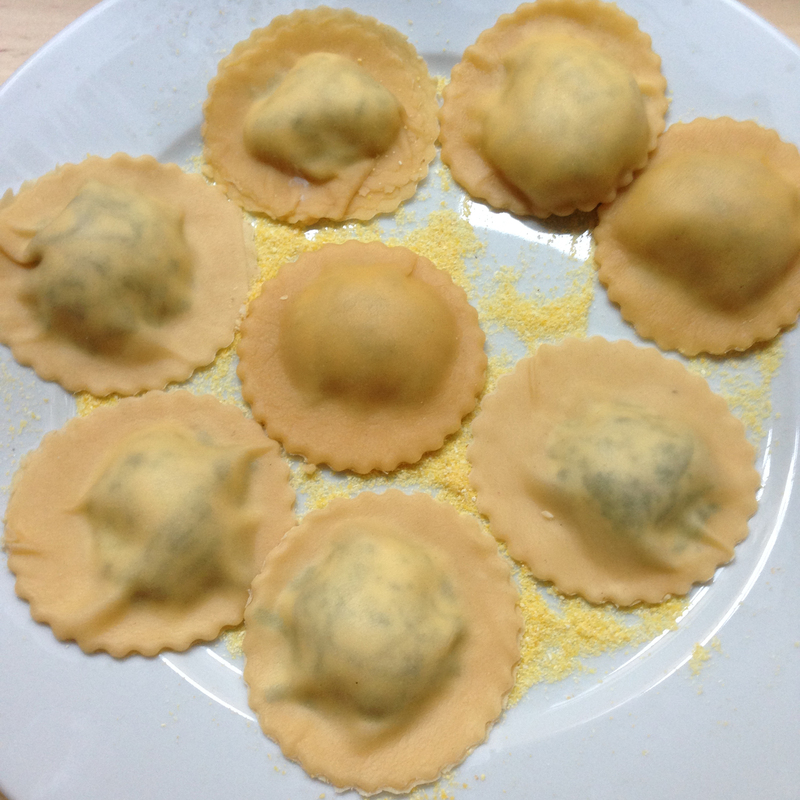 A one person portion is simply 100g of 00 pasta flour (it’s incredibly fine), one egg and a pinch of salt. That’s it. Double the ingredients for two people, triple for three etc etc. 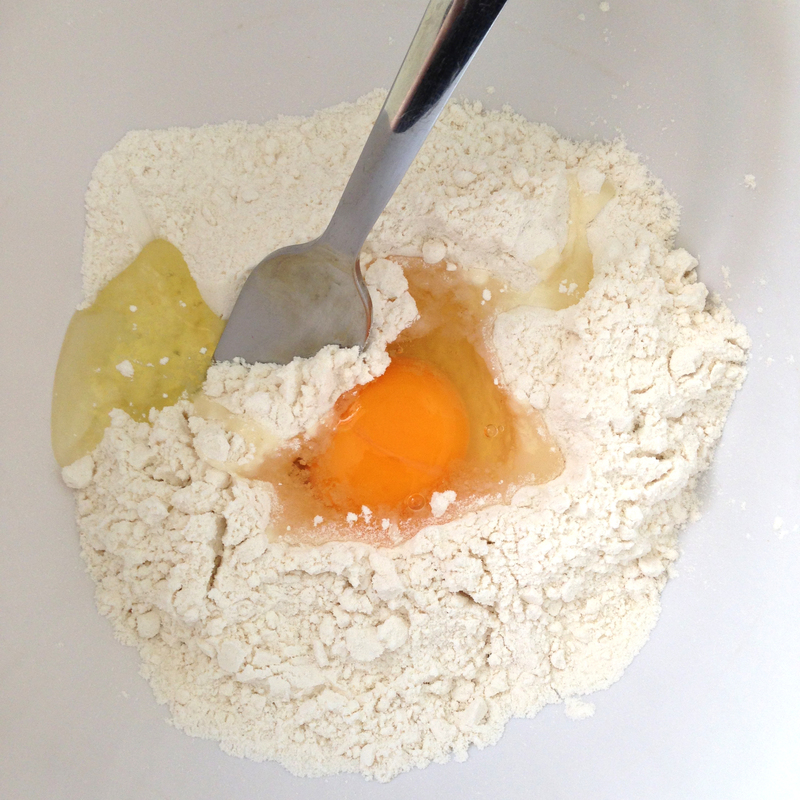 Put your flour in a bowl and make a well in the middle. Crack in your egg and add the salt. With a fork mix together from the edges until it starts to form a dough. 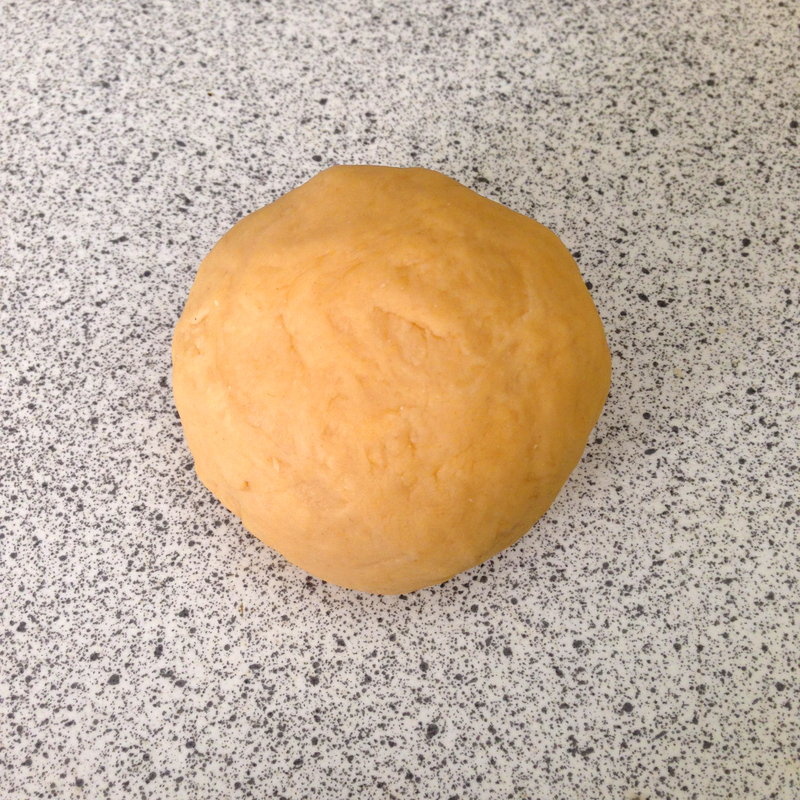 Knead for about ten minutes, until you have quite a rubbery, smooth ball of dough. Don’t flour your surface to do this – you don’t want to add any more to the dough. Cover with clingfilm and leave for about half an hour, forty minutes. Now, if you have a pasta machine, this is the easy bit. If you don’t, get ready to get rolling. VERY LIGHTLY flour a surface and roll the dough out into a rectangle – try as I might, I absolutely cannot do this neatly – and keep rolling. You want to get the dough paper thin. This seems impossible but it’s very elastic, and not prone to ripping. It tends to take me about half an hour of constant turning and flipping and rollingrollingrolling but it’s pretty satisfying when you’re done. And when you think you’re done, you’re not. Keep rolling. You’ll be layering two sheets of this on top of one another and if it’s too thick it’ll be gummy and gross. 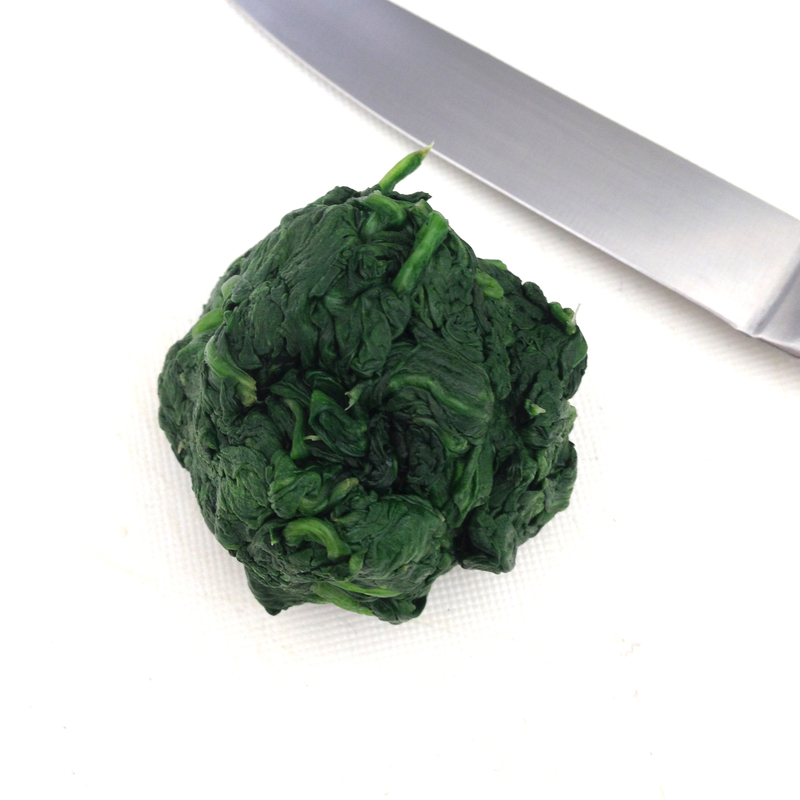 In a pan wilt a load of spinach – always use more than you think you need as it’ll reduce in size massively. To do this all you need to do is pour over a tiny bit of boiling water, pop the lid on and leave for one or two minutes. With your hands squeeze out as much liquid as you can, and you’ll be left with a ball of lovely green… stuff. Chop this up and stir into some ricotta with a good bit of pepper and a big pinch of ground nutmeg. Once you’ve got your pasta thin enough cut into wide strips – like I said, I am incapable of doing any of this neatly, it is my cross to bear – and add a little teaspoon of your ricotta and spinach at intervals. 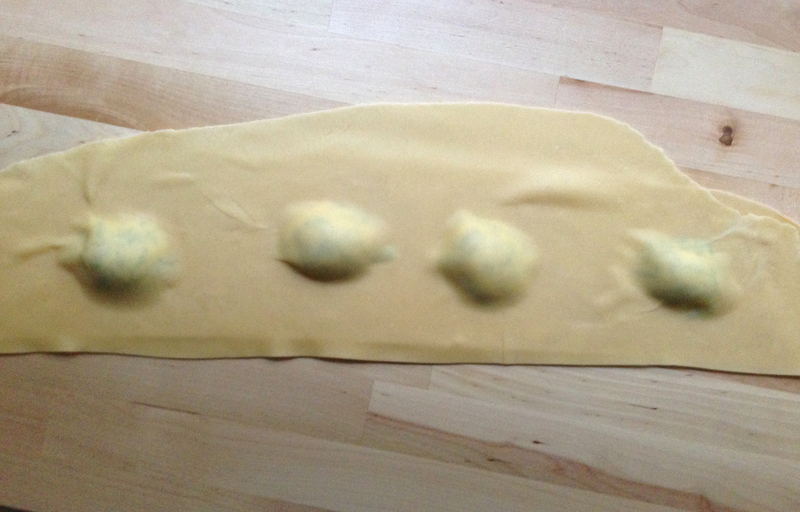 With your finger trace around the filling with a tiny bit of cold water, this will glue the pasta together. Very gently lay another strip of dough over the top and carefully squeeze any air out from around the spinach and ricotta. Now either cut your pasta with a pasta cutter or a sharp knife. I used a biscuit cutter because I thought it’d look well professional. Ahem. 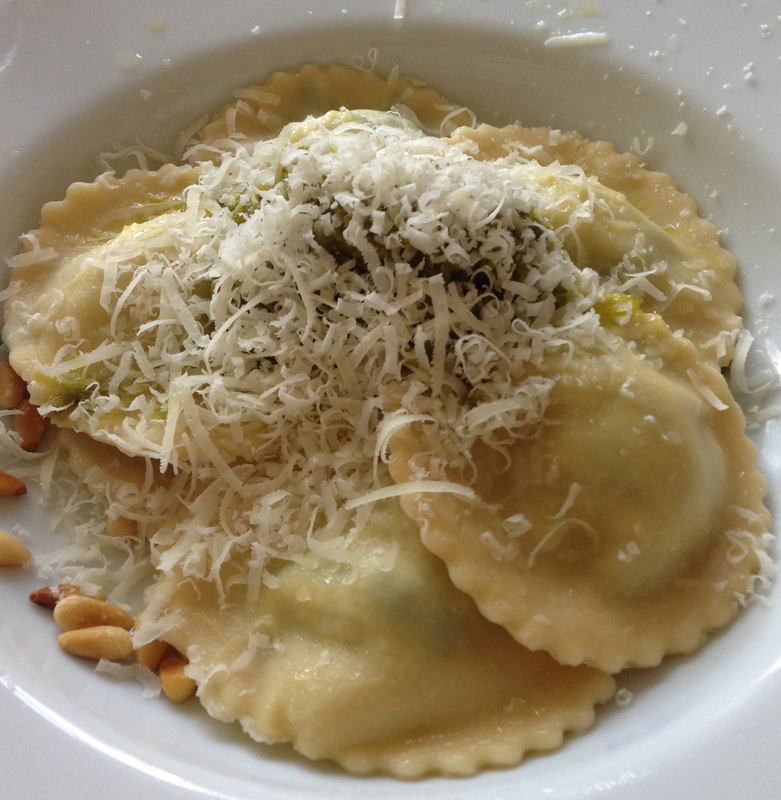 Use a bit of semolina to stop the ravioli from sticking rather than flour. You can either freeze them or pop them in the fridge for a day or two. Otherwise boil a large pan of salted water, add your pasta for a minute and a half to two minutes and serve. Make sure everyone knows you made it yourself because how impressive is that?! DEFINITELY doing this. I’m now on Amazon looking at pasta machines. Stay tuned. Let me know how you get on! Im always amazed by how easy it is.